Camera (Photo/ Video): 2MP Rear Camera + front camera. 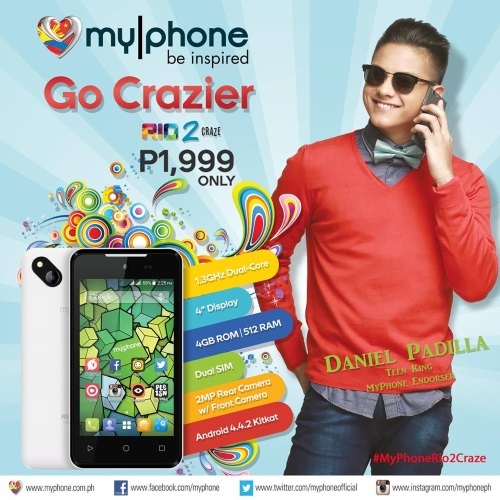 MyPhone Rio 2 Craze has a suggested retail price (SRP) of P1,999. It's now available in all MyPhone stores and kiosks nationwide.